Do You Want To Know How To Buy Fossils Wisely? While it has a totally different charm and appeal, finding fossils in a store or rock shop can be just as exhilarating as a walk in the field (maybe even more so for those of us who aren’t exactly the outdoor type!) If you thrill at a great bargain or the one-of-kind special, well, why not buy fossils? You can find fossils at all sorts of gift shops, rock shops, and nature stores. But here’s the hitch: BE CAREFUL! The one-of-a-kind nature of fossils sometimes has a price tag—a BIG price tag! You need to know whether your fossil purveyor is reputable and knowledgeable, but most importantly, YOU need to know if they are overcharging you! We found ourselves in a jewelry store that sold a very popular and pricey kind of ammonite to be made into jewelry. These ammonites truly are EXPENSIVE! But right alongside the expensive Canadian ammonites, were ammonites from Madagascar. These small ammonites are also very beautiful and unique…but not worth the $300 price tags that they were sporting. In fact, a fair price for them would have been between $10 and $50. This is not the kid of place to buy fossils. When I go into a new fossil shop to buy fossils I start by looking for 2 or three very common fossils, that I am familiar with and have seen for sale in many places. Trilobites, ammonites, orthoceras, and sometimes fossil shark teeth are what I look for. Now there is a great range in quality, size, prices, and rarity for these fossils like any other. What I am hunting are commercial grade, inexpensive, and very common. When I find one or more of these I compare prices with my memory bank of other stores prices for similar specimens. My memory is not what it once was but even I can get a feel for prices on two or three fossils. They are overpriced, and I won’t buy fossils here. The prices are fair. If I see something I really like I may buy it. The prices are great. I’ll probably buy fossils here. Remember, When you buy fossils, price alone does not a bargain make. The quality, size, and variety have to be similar to make this rule of thumb work. For online shopping I recommend starting at fossilicious.com. It is a great place for begining collectors and teachers looking for inexpensive fossils. I am somewhat prejudiced, Fossilicious is our sister site. 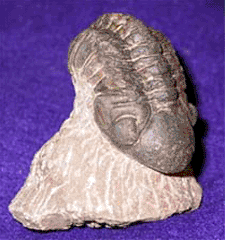 Still one of our goals for that site is to provide low cost, quality fossils. We often receive comments from our visitors like " I've shopped around a lot on the net and you have the best prices." So take a chance compare our prices with other web sites. Besides having the best prices fossilicious offers free shipping and friendly responsive customer service. That sounds kind of formal doesn't it. This is really an informal process. Just talk to the owner of the shop. Why are they in this business? Often you will find that they have a geology or palentology background. This is a good sign, though there are lots of good dealers out there with no formal training. A passion for fossils, rocks, or earth science is the key component to a good dealer. How long have they been in business? Do they stand behind their sales and sales claims? The bigger the price tag the more you need to know about your dealer. 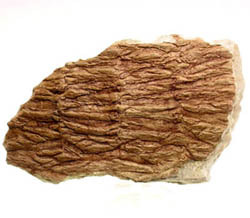 Some fossil pieces cost thousands or even tens of thousands of dollars. This is a major investment! Do some research. If you get the opportunity go to one of the many Gem, Mineral, and Fossil shows. The biggest is The Tucson Gem And Mineral Show, held in Tucson, AZ at the end of January. What a spectacle! This show runs about 2 weeks with thousands of vendors from all over the world. Even if you narrow your focus down to fossils it's impossible to see it all in a week. We tried! Denver has a good show in the fall, and a small one in the spring. There are many others that we have yet to visit. We will be adding a page just for shows in the future. It will include places, dates and details. Check back for that. In the meantime check with your local rock shop, or rock hounding clubs for rock shows in your area. These are a comparison shoppers dream, and a great place to buy fossils. It is also a great place to learn about fossils. It's easy to see what is common and what is rare and special. Most fossil dealers love to talk about fossils and will give you more information than you can hold a one sitting.